A collaborative leadership workshop for anyone tasked with leading projects or initiatives and trying to ensure high performance collaboration. Project management is a well-known tool of the business world and part of a management system that every business or organization needs in order to bring ideas into reality. Good project management defines whether or not you will be successful in your work. The tools of project management are simple—the difficulty lies in implementing them into the culture of the organization. Sunbridge’s latest collaborative leadership workshop is a crash course in understanding the project management mindset and the process for successfully carrying a project through from beginning to end. You are encouraged to bring with you a project or initiative that you are currently involved in or would like to bring to your community, to work on here. Joachim Ziegler, PhD, has been working in the fields of organizational development and human resources development since 1994. A partner in MIRA Companions for Development, an international consulting group, Joachim’s current list of American and international clients encompasses the banking, pharmaceutical, retail, and manufacturing sectors, as well as anthroposophical institutions and Waldorf schools. Joachim is a member of the College of Social Sciences Section at the Goetheanum and the international Association for Social Development and has taught at the University of Muenster and at Germany’s first private university in Herdecke. He holds an MA in adult education and a PhD in medical education. Jessica Heffernan Ziegler Jessica has been the executive director of Sunbridge Institute since 2008; previously, she taught collaboration and group dynamics in Sunbridge College’s Administration, Biography, and Elementary Teacher Education programs. Jessica has worked as an executive coach and organizational development consultant for Waldorf school administrators and teachers, as well as other professionals, in diverse institutions and schools in both the US and Germany. She served as the first administrator and as a board member at a Waldorf school she co-founded in Everswinkel, Germany; is a partner in MIRA Companions for Development, an international consulting group; and sits on the boards of Manhattan’s Rudolf Steiner School and the Otto Specht School in Chestnut Ridge, NY. Jessica who holds a BS in business management, did her biography training with Karl-Heinz Finke and her executive coach training with SECA International. Her professional focus on leadership skills, governance issues, and personnel development are utilized in both her executive director position and in her work as co-instructor of Sunbridge’s Collaborative Leadership summer course and related workshops. ~ This exceeded my expectations! ~ The experience and dedication to the whole process that our facilitators brought to a very rich and full week was very, very satisfying. ~The professional material was exceptional. The clarity of the presentation was superb. ~ I am working in a school, yet I know I can also apply this training to any business. ~ It’s always a pleasure to come to these workshops. Many thanks! Friday, April 26: Doors open at 6:30pm for check-in registration. Please arrive with enough time to register and get settled. Workshop begins promptly at 7pm and runs until 8:30pm. $285 via online registration (includes Saturday breakfast, snacks, and lunch, and $25 non-refundable registration fee). Online registration is available through noon on Friday, April 26. If you haven’t registered in advance and wish to attend, walk-in registrations will be accepted space permitting; walk-in cost is $300. Check here before arriving for walk-in registration to make sure spaces remain. Because it is beneficial for several members of a school to attend this workshop together, schools registering 4 attendees will receive a rebate for the cost of the 4th registration (rebates to be issued once the workshop has taken place). Please contact registrar Tamara Photiadis at registrar@sunbridge.edu / 845-425-0055 x16 for instructions. 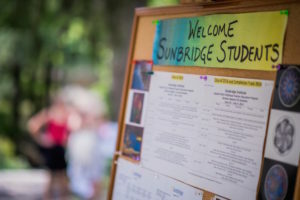 Current Sunbridge program students receive $80 off and Sunbridge program graduates receive $40 off the workshop cost. Accounts must be in good standing. A discount code will appear on your registration form when you answer questions about your educational background. 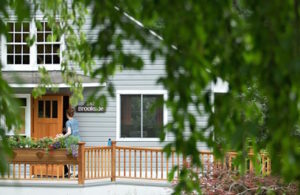 Contact Penelope-Myles Voss, admissions, alumni, and summer coordinator, at info@sunbridge.edu or 845-425-0055 x20. Sunbridge reserves the right to make faculty substitutions when necessary. See registration form for refund policy.